ANAHEIM, Calif.–Spectralytics, a Cretex Medical company, has opened a new product development center in Maple Plain, Minnesota. Building upon its offering of high-quality laser processing services for medical device manufacturing, Spectralytics is expanding its capabilities with a new facility, team, and equipment specifically dedicated to helping customers develop concepts, validate designs, design for manufacturability, and build quick-turn biocompatible metal and polymer prototypes. "Proving a medical device design quickly is critical to speed to market," said Jim Bartel, president of Spectralytics, in a press release. Design validation and quick-turn prototypes are the best way to do that and are key to enhancing your competitive edge. "With additional equipment and laser technicians, we'll be able to accommodate two- to five-day lead times for prototypes, depending on the project and material." Spectralytics (www.spectralytics.com) works with many major medical device OEMs in cardiovascular, neurovascular, drug delivery, and orthopedics applications. The new facility was built in response to customer needs for increased prototyping and development support to help get their products to market faster. "Having access to even more prototyping capacity through Spectralytics enables our customers to scale and grow with the same partner throughout the entire product development life cycle," said Bartel. "Consistent quality and reliability have always been important to our customers, and delivering that is how we became a trusted extension of their team. Now we'll be able to provide that same level of service with much tighter lead times for prototyping." 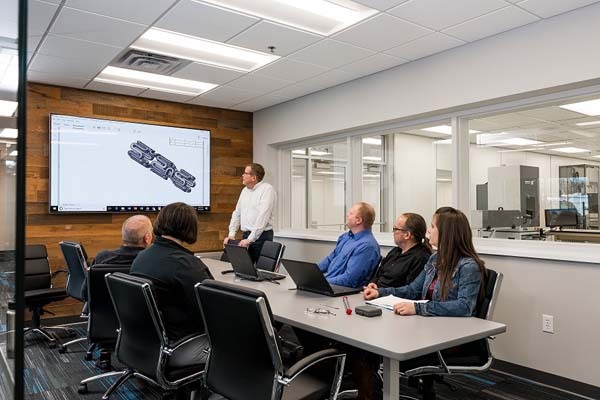 The 15,000-square-foot facility is located in Maple Plain, Minnesota, about 20 miles west of the Twin Cities and 35 miles east of the company headquarters in Dassel, Minnesota. The facility will include laser cutting, welding, and ablation machines at multiple wavelengths and speeds; laser machined components in tube, sheet, wire, sub-component, and other raw stock shapes; and the capacity to scale into commercial, high volume production. It will house more than 100 stocked materials, including metals, polymers, and composites, under one roof. The facility will also include a Class 10,000 cleanroom; post-processing services, including marking, annealing, chemical cleaning, passivation, texturing, electropolishing, assembly, and heat shrinking; and inspection capabilities. Spectralytics (www.spectralytics.com) is a laser cutting and processing contract manufacturer that serves the global medical device industry. The company offers laser cutting, welding, drilling, ablation, marking, electropolishing, assembly, and engineering services for cardiovascular, neurovascular, drug delivery and orthopedic applications.